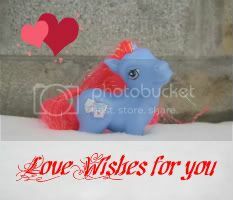 Wish you were here... postcard shots of ponies around the world. Add yours! My McD Celestia went for a swim . . .
Got an underwater digital camera recently, so I couldn't resist getting an underwater pic for this thread. 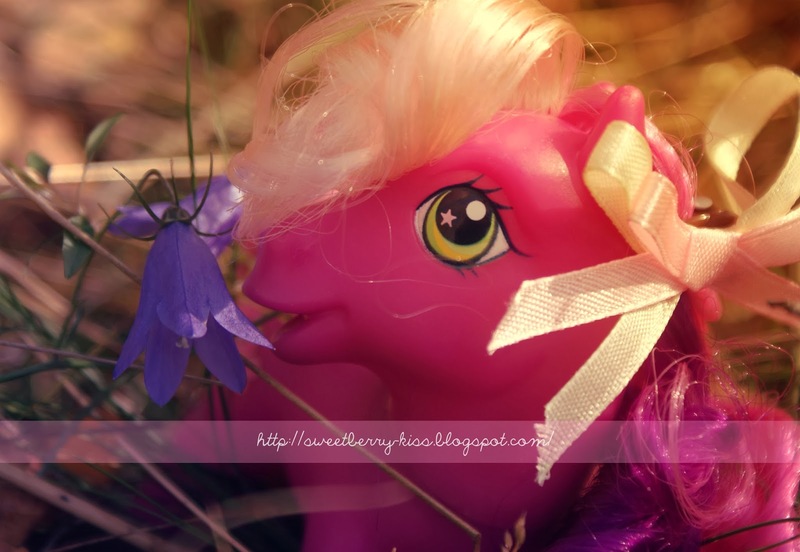 Obviously I had some qualms about taking any of my good ponies, and I figured since I have 3 of these, what the heck? OMG Angel! That pic is toootally awesome!!!! Thought I'd post these pics here. I haven't traveled much in my life. This is so cute! I should totally get a picture of one of my ponies with the Demon Horse of Denver International Airport, the next time I fly. He's a giant, anatomically correct blue stallion that is at the entrance/exit to the highway for the airport. He has red eyes so that planes can see him at night... And during his construction, one of his parts fell on the designer and killed him. So, Demon Horse is pretty appropriate. 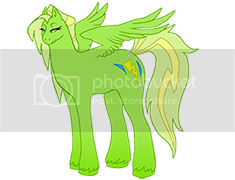 Thanks to Angel_Foil for my avatar and MLPmintchocolatechip for my signature! 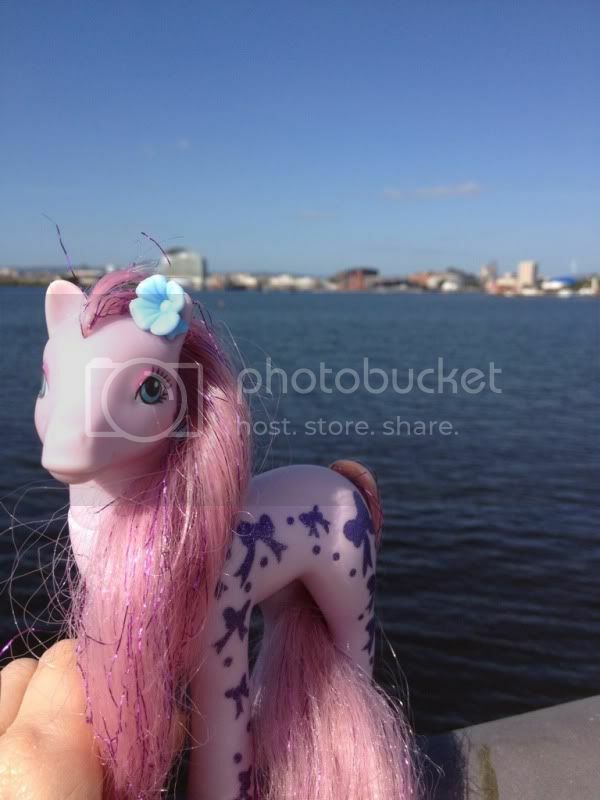 Taken in Cardiff Bay yesterday. 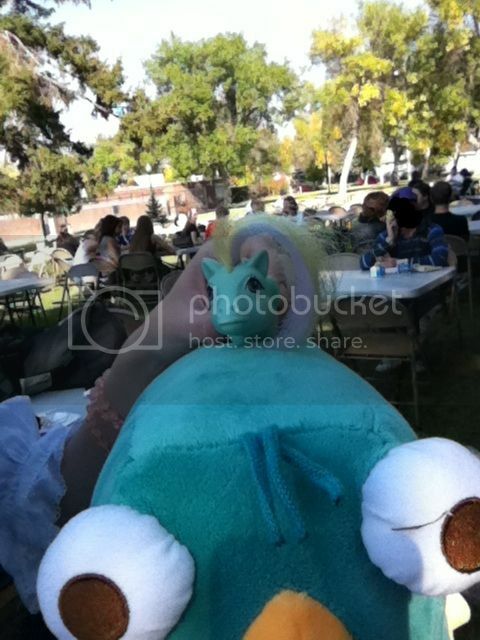 Baby Sea Breeze and Perry the Platypus got to hang out together at the school barbecue! Whoo! (This is the only good picture I have of her on Friday's travels... For now, hehe.) And that underwater Celestia shot is really cool! If I ever get my hands on an underwater camera, I'll have to try that with Sea Breeze! I love this thread - nice shots, guys! I'll be going on my honeymoon in January, and will have to take AJ and get some pics... wherever we're going (he's keeping it a surprise, lol). But he won a vacation package from his work this month, so he said we can take a really nice one year anniversary vacation - possibly to Hawaii. These are so cool! I'll be going to Boston this year, so I'll make sure to take pictures. Once I get some boring, real-life, teaching applications out of the way tomorrow... 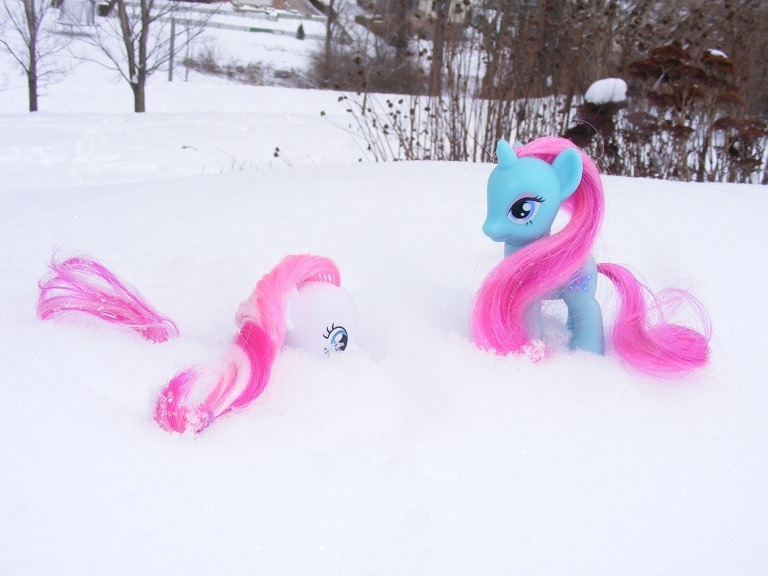 It's time for a snowy outdoors pony photoshoot! 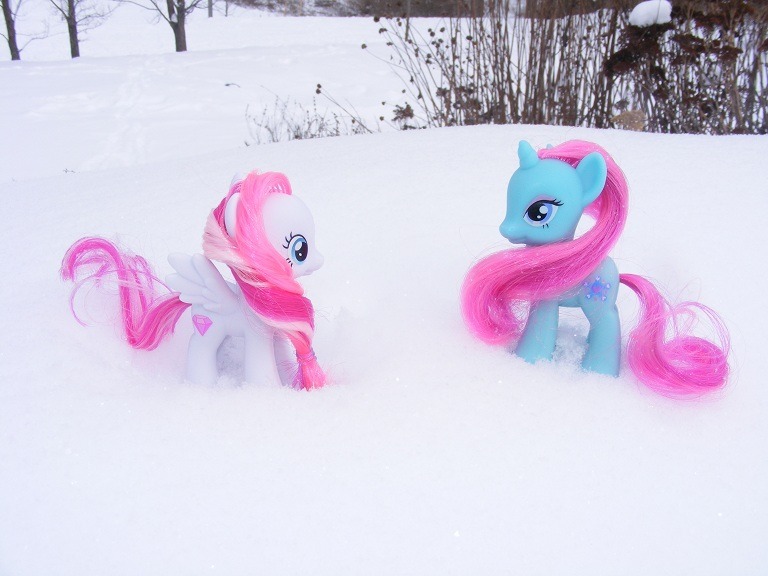 I'll have to pick which of my ponies will look best out there in all the white; Snowcatcher is the most appropriate! Went out with Snowcatcher and Diamond Rose today! Snowcatcher's colors look so pretty against the snow - her special talent is supposed to be catching snowflakes on her tongue, but I'd rather think it's walking on top of very deep snow. Despite a white pony not being my BEST choice, fun in the snow was had! Hi to all from snow-covered PA. Took this today. :3 Spain Masquerade says hello from Alabama! thanks to kissthethunder @ mlparena for my icon! This sounds like so much fun! I should take out Nightmare Moon (my favorite out of G4) and take some pics here. I should go down to Gammage or one of the other cool buildings we have to take the pics. Oh, WOW! So many amazing pix in this thread! Beautiful, creative, and toooo cute! Here's mine, just a little snapshot of Apple Fritter. Because who doesn't carry ponies around in their pockets? Much cuter than pocket change. Visit my Sales Thread! I have verified Funko Minis for sale, and other G4 goodies!